It is with great sadness we announce the passing of Gerald Joseph "Popeye" Springall, 60 years of Springhill, formerly of Halifax, on Wednesday, March 20, 2019 at the Cumberland Regional Health Care Centre. Born in Glace Bay, NS, he was a son of the late David and Amelia (Stefura) Springall. Gerald was a proud member of the Canadian Armed Forces, serving in the Navy for 25 years. Gerald, fondly known as Popeye, was very active with the Legion in Halifax. Despite his ailments, he was always fun loving and friendly to all. After his time with the Navy, Gerald went to the School of Hairdressing and learned the trade. Upon their retirement, he and his wife Betty settled in Springhill, NS. Gerald is dearly missed by his wife the former Betty Hogan, Springhill, NS; children, Kevin (Saydee), Woodstock, ON, Meaghan Johnson, Guelph, ON and Jonathan (Jenna Taylor), Kitchener, ON; grandchildren Tessa and Owen; siblings David, Howard, Peter, Mary and Angel; several nieces and nephews. Arrangements are under the care and direction of the A H Brown Funeral Home, 5 McFarlane Street, Springhill, (902 597 2361). In keeping with Gerald's wishes, there will be no visitation or funeral service. 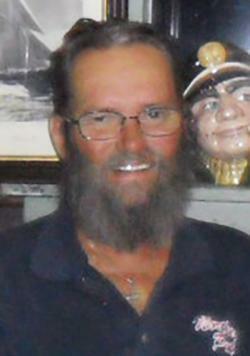 A strong Navy man, Gerald's ashes will be spread at sea during a Naval Memorial Service. Those wishing to make a donation in Gerald's memory may do so to the charity of your choice. Sharing of memories and condolences may be sent to the family by visiting Gerald's online memorial at www.brownsfuneralhome.com or through the A H Brown Funeral Home Facebook Page. Gerald's ashes will be spread at sea during a Naval Memorial Service.